As you can imagine life at home is a little different now, although I have wanted to post some new blogs posts, I really haven't found the enthusiasm and time to sit down and do it until now. It has been 11 days since we welcomed our little man into our arms and our lives! We have been home for just over a week. Joel has been off work, and has done an amazing job looking after the both of us, cooked amazing meals and even put a new big wardrobe in our room (photo's soon). I am a little worried about what will happen when he has to go back to work in a few days.. but one day at a time. Some nights we get a decent amount of sleep (yes 5 hours is considered decent) some nights we don't, every day is a new adventure. A couple of years ago when Joel was working in his job where he had to travel all over Australia, all the time, he came across a pretty neat book recommended to him by the lady who ran a small second hand book store, it is the true story of a dog that had adventures all around the North West of Australia. It's called "Red Dog" written by Louis de Bernieres. When Louis was visiting Australia he heard the stories of Red Dog, a Red Kelpie and went on to write the book, you may know him from his other titles like Captain Corelli's Mandolin. 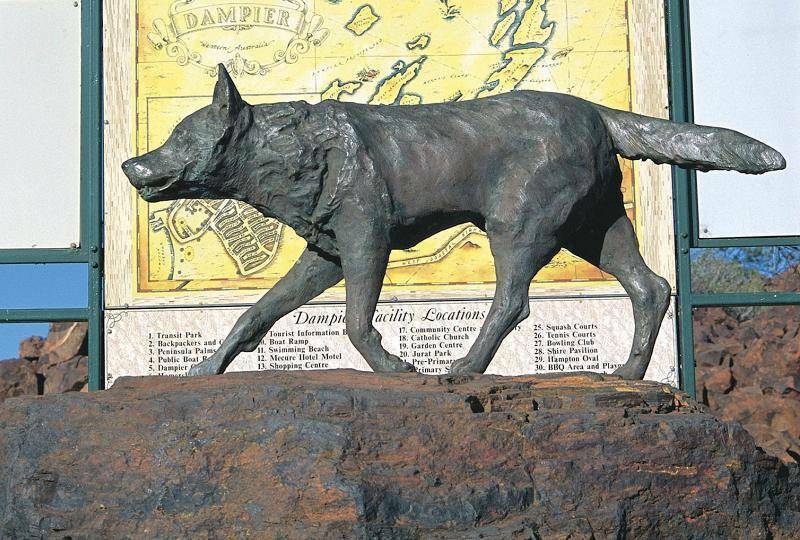 I had heard Joel talk about the book, and he even showed me the pictures of the Red Dog Statue he took when he was in Dampier, WA, but for some reason I didn't read the book at the time, even though it had been sitting on our bookshelf for the last few years. It wasn't until this week, when popular culture and the release of the movie premier of Red Dog came out that I was actually motivated to read the book, what is wrong with me, it is such a short little book too. This is all in the lead up to simply say, you should read this book, and of course when you have done that, watch the movie. It is such a great story about a wandering dog who really is loved by the whole community. A friend who is a self-confessed non dog liker, watched the movie and even she liked it, so you don't have to be a dog lover to love this story! I finished reading it as I lay in bed before trying to get to sleep, but once I put the book down, I cried for about 20 minutes, it might just be the hormones, but it is a really special book. Even better it is about my home state. I am yet to see the movie, but I have heard great reviews, I just am not very comfortable sitting in movie theater seating right now!